'Bama - This is your moment! Your Birthright Israel adventure with Alabama Hillel is waiting for you. 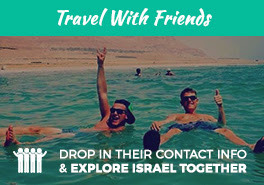 Go beyond experiencing the culture, food, sites & vibes of Israel! On your Birthright Israel trip with us, you will spend 10 legendary days traveling with the locals & others from University of Alabama! There is so much to do on this once-in-a-lifetime trip: Explore one-of-a-kind cities & cuisine with the best local flair! Take fun & gratifying hikes with breathtaking views. Have the time of your life in Israel with amazing people who will soon become your close friends back on campus & in Israel! There is so much for you to discover on this epic journey with us & University of Alabama! "Birthright was the experience of a lifetime, & traveling with Israelis made it even better. By the end of the trip, we were one close-knit family. Thank you,Shorashim!"